Just when EUR wanted to gain momentum due to Brexit talks, the US economic reports supported USD. 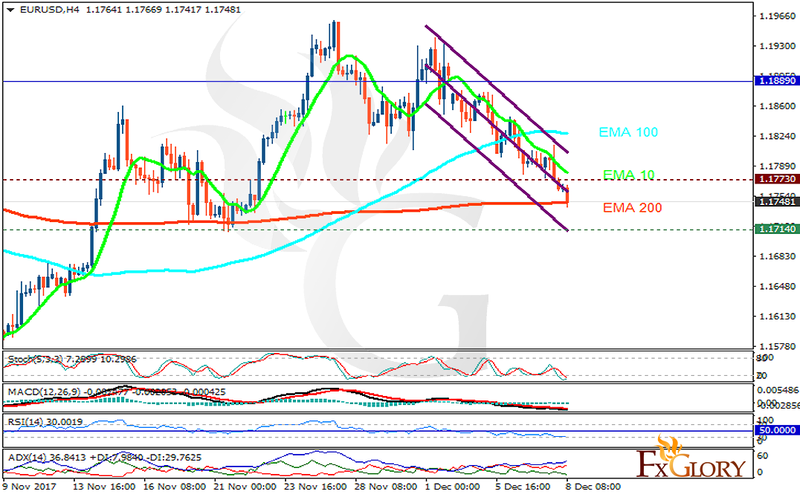 The support rests at 1.17140 with resistance at 1.17730 which both lines are below the weekly pivot point at 1.18890. The EMA of 10 is moving with bearish bias in the descendant channel and it is above the EMA of 200 and below the EMA of 100. The RSI is moving in oversold area, the Stochastic is moving in low ranges and the MACD line is below the signal line in the negative territory. The ADX is showing sell signal. The pair is oversold and the chart has created a double top pattern. EURUSD can fall towards 1.170 area and then start its correction pattern towards 1.20.